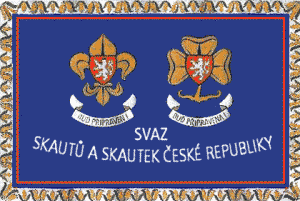 The Association of Scouts and Guides of the Czech Republic (further "the Association") is a voluntary, independent and non-political civic association established under the Civic Associations Act (83/1990 revised statutes) and its amendments. 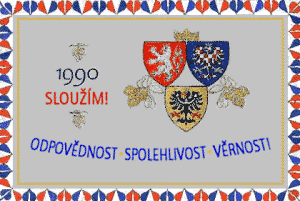 The Association brings together members without regard to nationality, race, age, handicap or religion, who accept the traditional fundamental principles, aims and methods of Scouting as defined by its Founder Robert Baden-Powell and the founder of Czech Scouting Antonín B.Svojsík. All official positions in the Association are voluntary without any financial compensation or other material reward. The Association has no paid employees. Association's General Assembly decides by four fifths majority of votes about the Association's membership in or affiliation with, another civic association with a similar mission as well as in international and national scout organizations. The Association aims to contribute to the ethical, spiritual, social and physical education of its members and to lead them to become responsible active citizens of our native country and the European community. All Association members voluntarily accept their duty to live according to the Scout Promise and Scout Law. Adult leaders and helpers make a Promise to lead their youth according to the Scout Promise and Scout Law. The Founder of the worldwide Movement Robert Baden-Powell started with work and self-education in small natural groups, where older and more experienced youth leads others who learn from their leaders' experience and knowledge. The Patrol is the place where a young person learns to understand and practice inter-personal relationships and working cooperatively in a group.